1. Moving, Moving, Moving Get Those Babies Moving! Today, we live in a world with an amazing amount of baby gear intended to make our lives more convenient. However, I believe many of these innovations limit the development of our babies’ motor and sensory skills. Our little ones need the opportunity to make the same small movements thousands of times in order for their motor skills to develop. 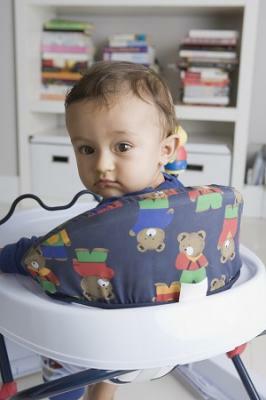 If we constantly carry them around, or confine them in baby gear we limit their opportunities to practice their skills. The feet need the opportunity to be free to properly develop. Being barefoot allows the babies’ foot and ankle the opportunity to naturally accommodate to the weight bearing forces. Shoes, especially those with firm soles, limit the natural ability of the foot and ankle to work together and stabilize the baby in standing and walking. Over time, the foot and ankle come to rely on the external support of the shoe to provide stability instead of the natural internal support from the joints, muscles and tendons. Being part of the medical community, I am keenly aware of how important it is for my children to sit through a medical evaluation. 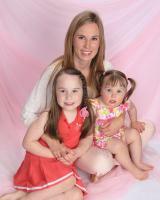 Children are often apprehensive and sacred to go to these appointments for a variety of reasons. However, one of the leading reasons is that the hospital or clinical environment is not something they experience on a daily basis. We can help desensitize our children to these experiences through education and role-play. Get a play doctor kit, try taking a blood pressure (no machine needed, just gently squeeze the upper part of child’s arm to mimic the compression sleeve), practice saying “ahhhhh” and looking into their throat. This simple play exposure can greatly decrease child discomfort and help the medical professionals obtain more accurate information to treat your child! 4. Is My Baby Crawling? Crawling is a transition skill. There is no right or wrong way to crawl, some children never crawl, some only crawl for a few days before walking, some crawl backwards or sideways, and some only belly-crawl. The main point is that the act of crawling allows children to start coordinating the movement of their arms and legs, differentiating right and left and moving in multiple planes of motion. 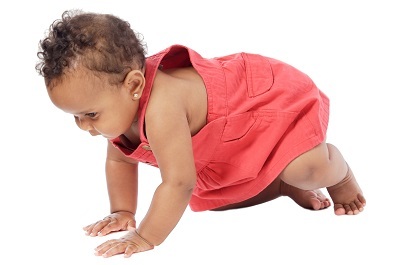 Most importantly, crawling marks the developmental stage during which your child is figuring out how to process and coordinate small motor movements en route to transitioning to standing and walking. “W” sitting is a preferred sitting position for many children for various reasons. However, there is no good reason for a child to ever sit in this position. Prolonged periods in this position can lead to a variety of developmental issues such as decreased trunk balance and coordination, hip dislocation, or decreased hip flexibility and mobility. Teach your children early on to sit “crisscross applesauce” (Indian style) and avoid the temptation to let them “W” sit.